Hi! Thanks so much for stopping by today! 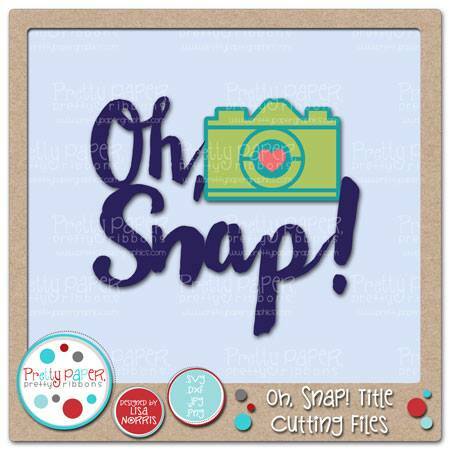 You may have noticed from the wonderful image above that I’m in the Oh, Snap Blog Hop. If you came here from Nicole’s blog, you are in the right place to keep on hopping. If you just stumbled upon this post and would like to start from the beginning, please visit the Pretty Paper, Pretty Ribbons blog. 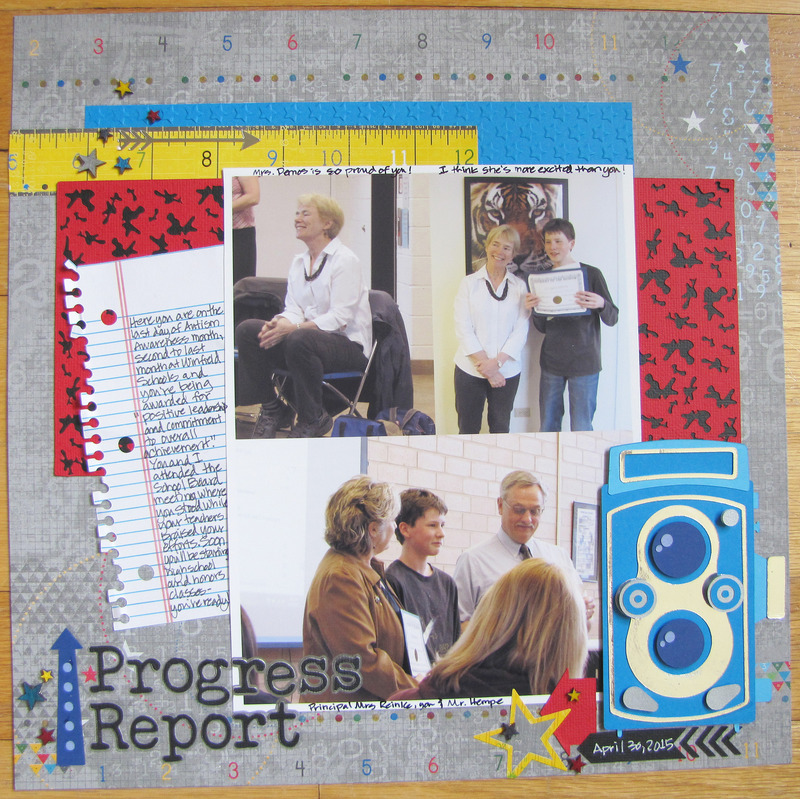 Today the all the Pretty Paper, Pretty Papers design team member are sharing our Oh, Snap projects! We all love to take photos and share our memories with others. 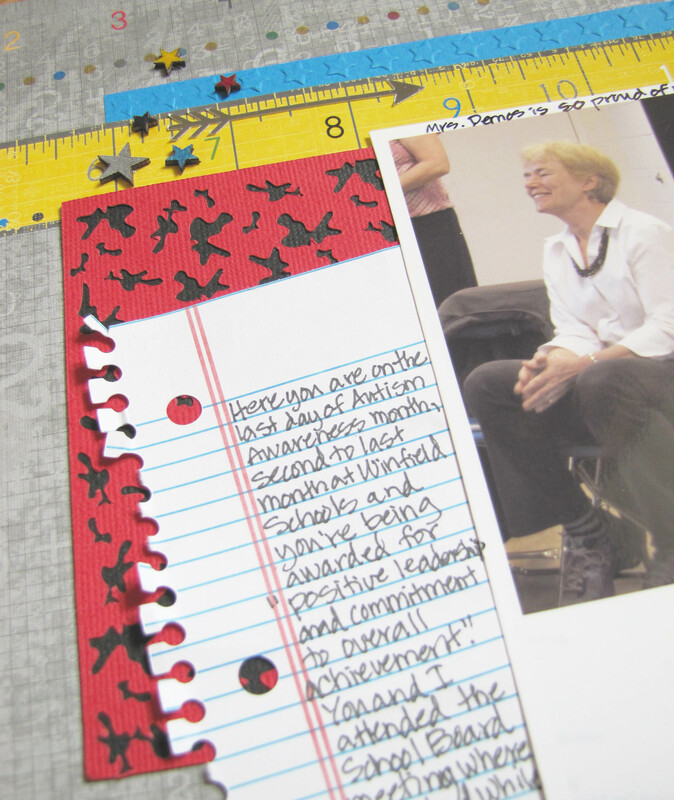 So, we’re sharing photo/camera/memories themed projects using Pretty Paper, Pretty Ribbons files. 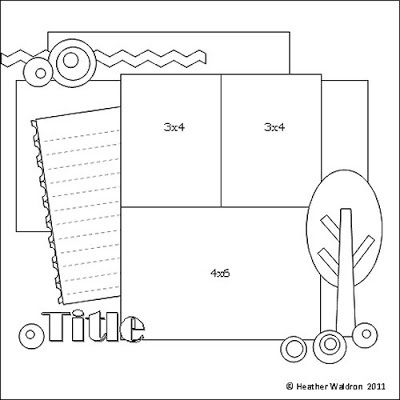 I also used the Secondary Supplies Cutting Files to cut a pattern on the red cardstock like the pattern on a composition notebook. I love the effect! You’ll also notice a number of the arrows from Arrows Cutting Files, because arrows are awesome, as well as the Notebook Pages Cutting Files because I can’t get enough of them with the School Days Pattern Pack providing the paper design! I hope you enjoyed my page. Let’s talk more about the hop! And of course, this hop is the start of the PPPR Oh, Snap! Challenge. 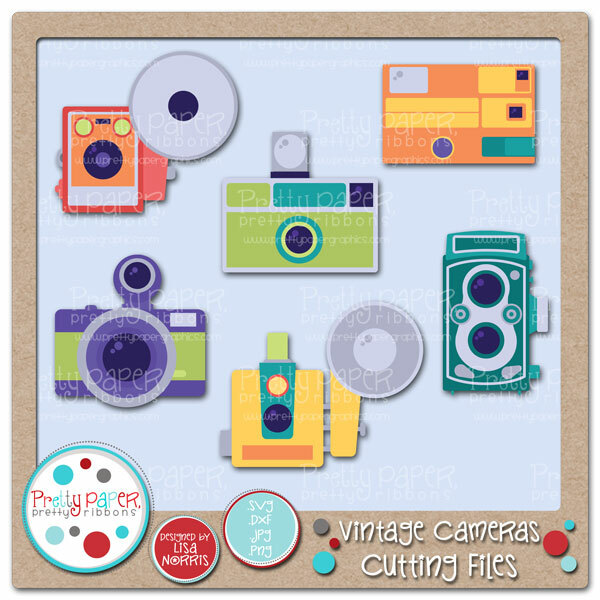 The projects can be anything that are camera, photo, or memory themed and that feature Pretty Paper, Pretty Ribbons files. Check out the rules on the challenge page: Monthly Challenge. I am the last stop on the hop. I hope you enjoyed your visit today and I hope you’re inspired to join in the Oh, Snap! challenge! Ruth – you’re right where you need to be ;-)! 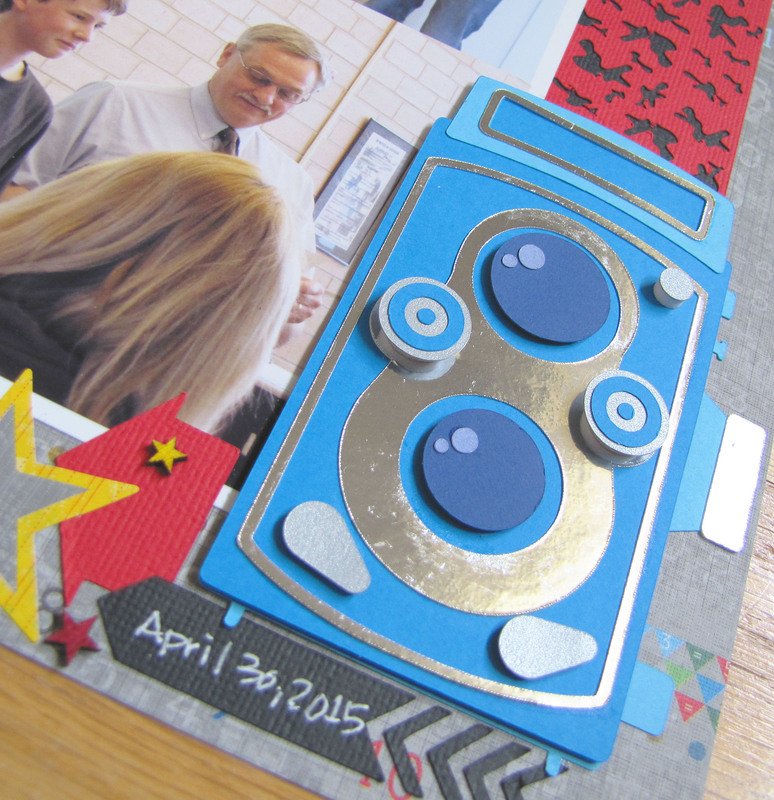 I will be entering this layout in the INSTA LOVE – 3 Photo Challenge Celebrating Sketch N Scrap’s 3rd Birthday! over on Mandy Reedyk’s blog. I will also be entering Silhouette Challenges – Anything Goes. ETA: I am linking this project up with the current is issue Let’s Get This Party Star-ted and Par-ty Heart-y at Paper Issues, because Stars. Cardstock – AC, Close to My Heart, Colorbok, Paper Studio, Recollections; Patterned Paper and Stickers – Little Yellow Bicycle; Embossing Folder – Darice; Pens/Markers – Bic, Kuretake, Sakura; Wood Veneer – Studio Calico; Adhesive – AC, Kuretake, ScrapPerfect, Snaketape. Machines for printing and cutting: HP (also ink and photo paper), Silhouette Cameo. Font for title: Another Typewriter.